Our school opened in September 1976 with 238 children in 7 classes. Since then, the school has grown to become a 2-form entry school with 420 pupils in 14 classes. For the academic year 2012-13 the school was asked to admit 90 pupils into Foundation Stage. The number of pupils on roll has therefore risen to 450. There are currently 15 classes with approximately 30 children in each class. Within each classroom situation a variety of teaching strategies are used as appropriate. Some children receive intervention in specific areas of the curriculum from a Teaching Assistant. The Richmond School has a large playing field surrounded by trees and hedges. A living willow dome, wooden play houses, a stage, a train and a boat are features where the children can play imaginatively. We feel that it is important to involve parents in their children’s education. Parents of children new to our school are encouraged to help with school activities and to become involved in the life of the school. Homework is given to all children and includes reading to a parent, tables work, reading/word games, spellings and research (see homework policy). Children are expected to take responsibility for informing parents of the homework they have received and returning it to school on the designated date. If you are being bullied, tell someone straight away so that it can be sorted out! Keep telling them until something is done about it! 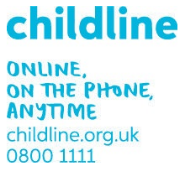 You can tell any adult you trust - at school or at home - or contact ChildLine.